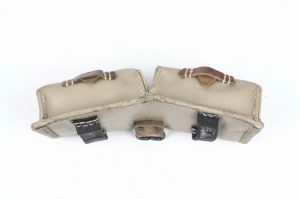 The ammunition pouch for the G43 (Gewehr 43) semi automatic rifle was executed in many different materials. 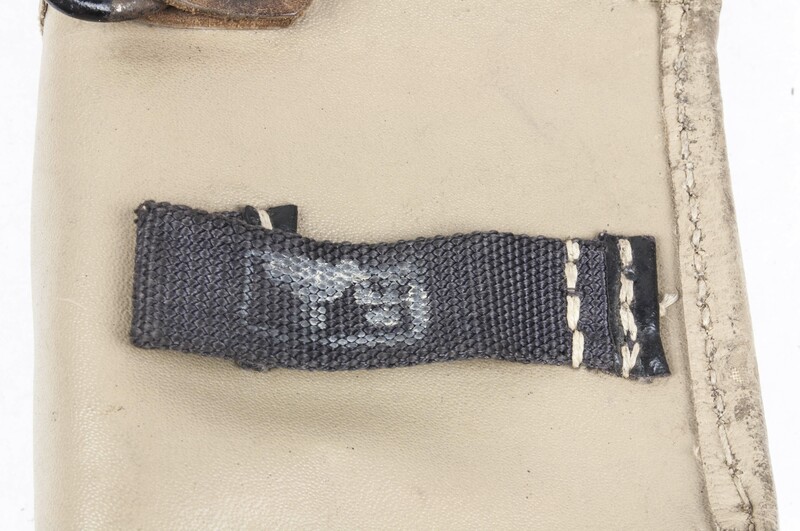 Vinyl, leather, rubber and canvas are some of the materials observed. 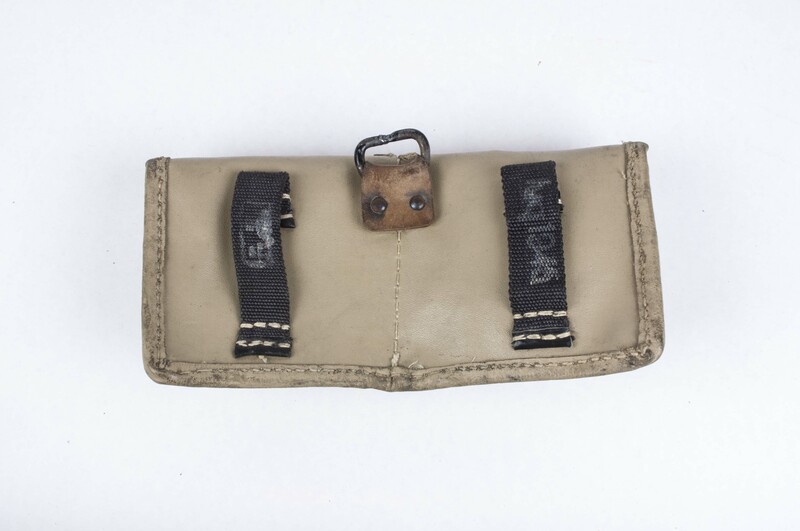 Each soldier equipped with the G43 received one G43 pouch and one K98 pouch. 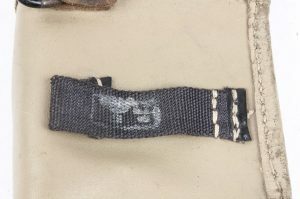 The G43 could be loaded with both magazines and clips, hence the combined pouches. 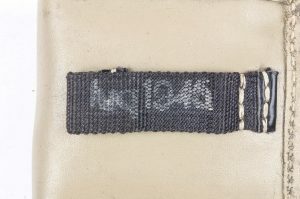 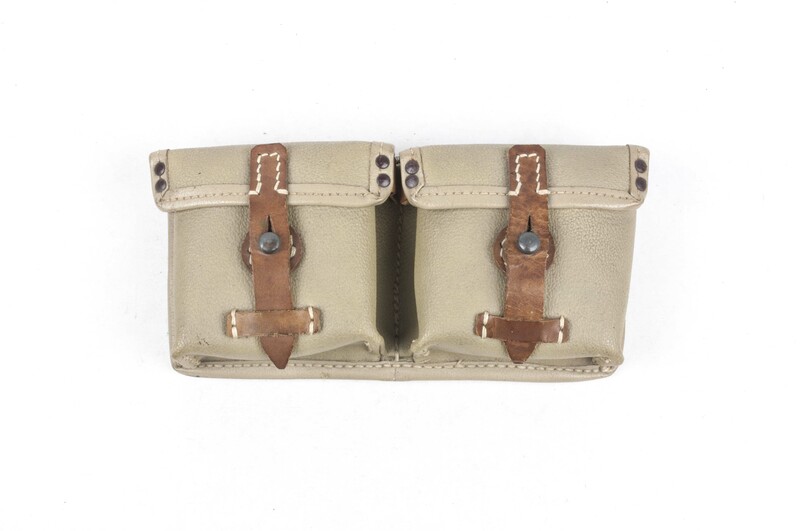 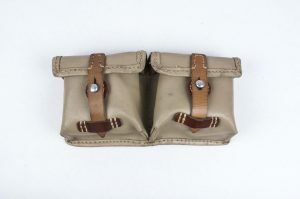 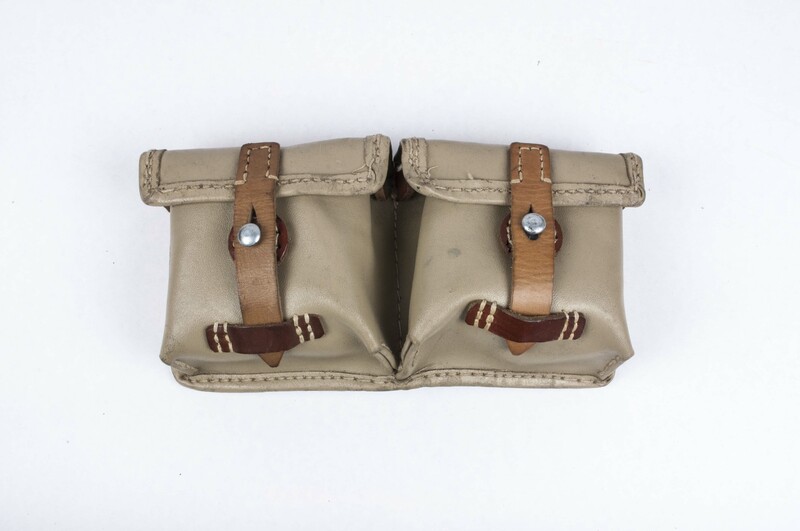 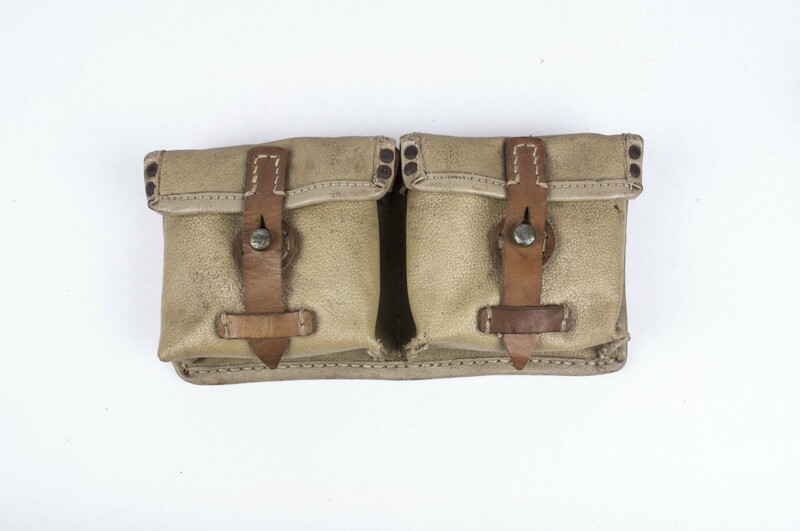 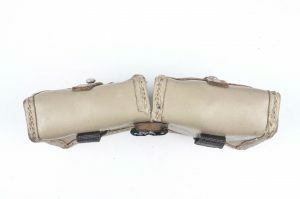 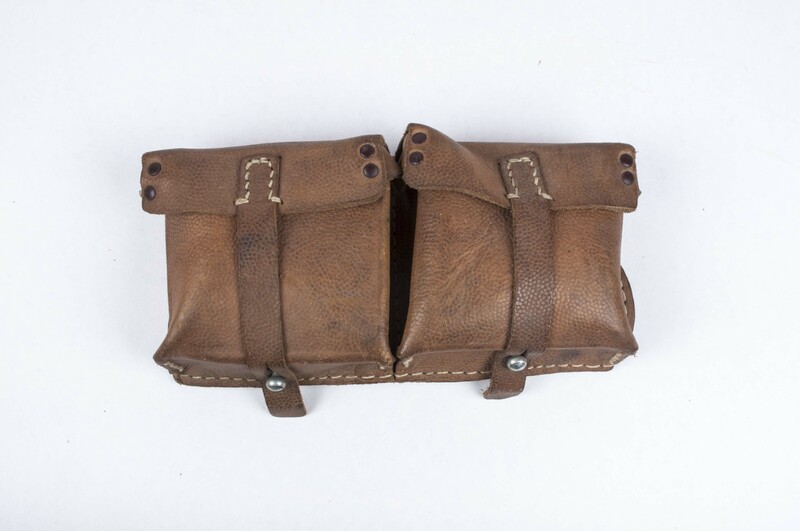 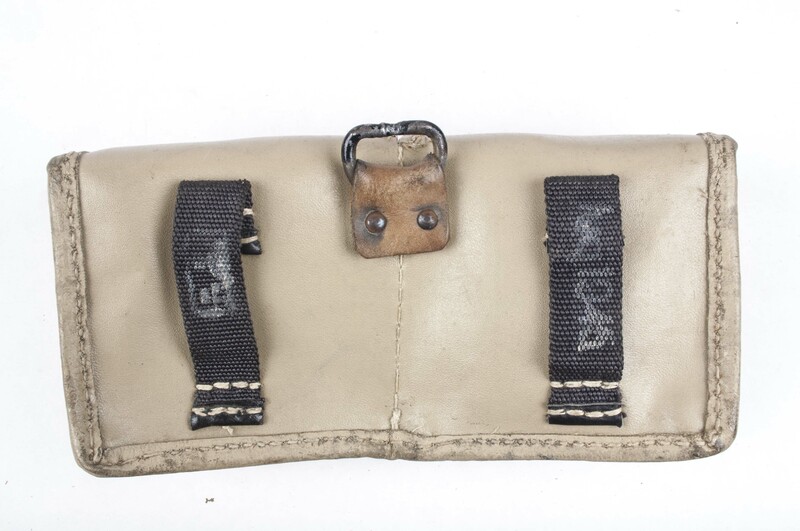 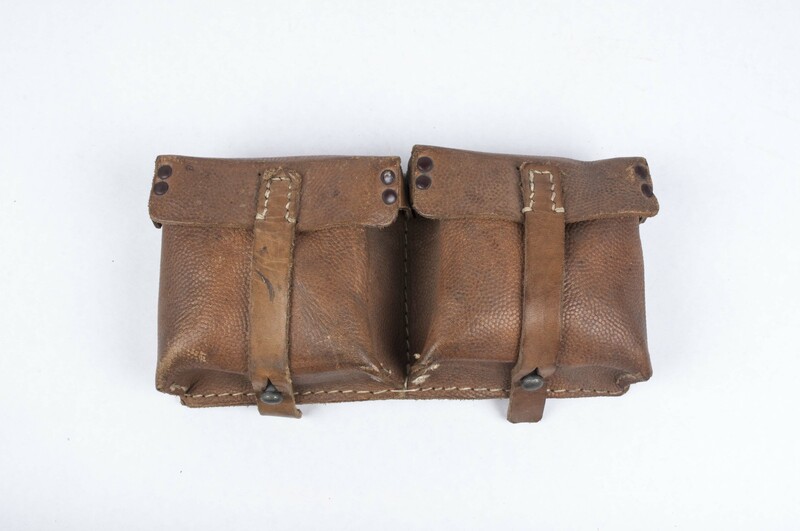 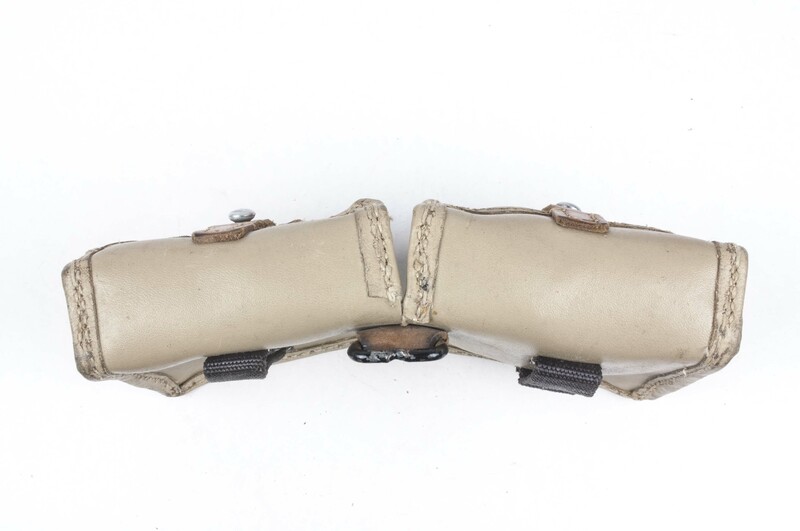 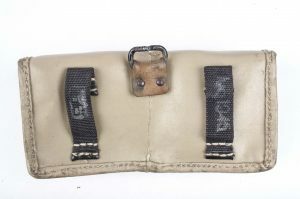 The G43 pouch has two separate cells which each could hold one ten-round magazine.